If you love watching Chaplin movies then you got to see this as a compulsion. If you want to know the real truth about his origin and his funny get-up then go for “Chaplin” as the next thing you do. The master of biographies Richard Attenborough has made this movie on the not so known life of the great Charlie Chaplin. It’s his life story, about his childhood, his young days and about how he became Charlie Chaplin – The Tramp. 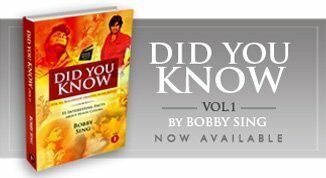 You will come to know about many unknown facts about his life, and his early years through this enlightening bio-pic. Like how he found his unique style with his cap and stick, how one of his major project was thrashed everywhere, flopping miserably and how he was expelled from his own country for his views and controversial cinematic expressions. And after watching the movie your whole outlook towards Charlie Chaplin, the comedy man will change entirely. His stunning biography will force you to re-think about that funny character you used to laugh at. And you will like to see all his movies again with a different mindset. In short, “Chaplin” is a great film from a great director about a great film maker, simply not to be missed.